Once winter sets in, we don’t do much fly-fishing. That never surprises folks from the Lower 48 because everybody knows that it gets pretty cold up here. What does surprise them isn’t a secret, and it always puts a smile on faces that come fish with us for the first time. We actually have four unofficial fly-fishing seasons here in southwestern Alaska, and each one is perfect in its own way. By April, the ice-out is on, but we treat early fly fishing spring fever with a big dose of patience. The state protects spawning rainbows by closing trout fishing in many rivers and streams and all fishing in some area waters. Alaska’s Department of Fish and Game posts online reports with detailed information about stocked lakes that are open through early spring. By May, downstream salmon fry migration turns into a buffet for winter-starved predators like dolly varden, and our unofficial first fly fishing season is unofficially under way. When rainbow fishing opens around the middle of June, we’re already out there chasing king, sockeye, coho, chum and pink salmon. The kings’ unofficial early run usually peaks by the middle of June, and we see anglers land 50- to 60-pounders every year. Early sockeye action fires up by the end of June with some of the world’s largest runs happening right here in southwestern Alaska. We’re catching plenty of dollies and ‘bows too. 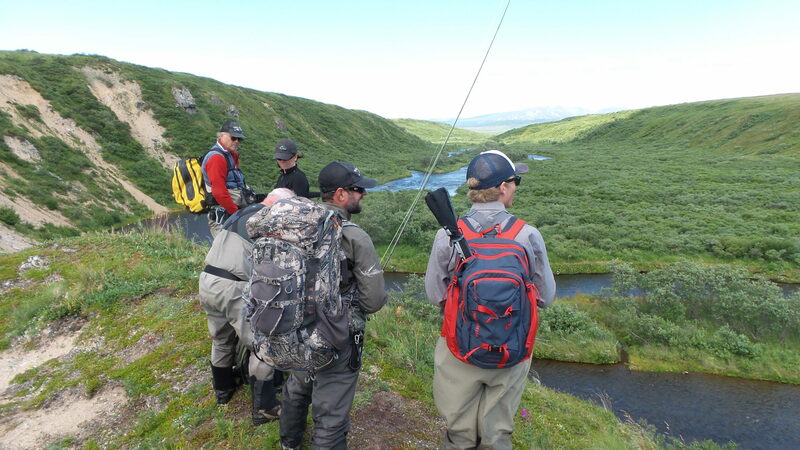 By the end of July, we’re officially in Alaskan fly fishing heaven. The end of summer means last call for late king and sockeye runs as they finish spawning, but even-numbered years put us on pink salmon from early August well into September. We’ve broken a few rods on 20-pound chums in August, and cohos stay aggressive well into September. Steelhead start to show up in some of our peninsula watersheds delivering serious fly fishing action all the way through October. Rainbow trout really bring out the best in us this time of year. They’re pretty much full of salmon eggs, so it takes every trick in our tackle box to entice stuffed ‘bows. Dollies are just as challenging. Sure, sometimes we have to knock the ice out of our guides, but it’s not officially winter yet, so we make the most of Unofficial Season 4. We enjoy the last coho runs even with a little cold and rain. Steelheads can be as elusive as ever, but they’re here in small runs. The seasonal egg smorgasbord is disappearing out from under the ‘bows, so we switch to flesh patterns. Some of our flowing waters are closed mid-September through the end of October to protect dolly varden during their spawn, so we always check ADFG online for details. Unofficially, we spend winter getting the lodge ready for your fly-in. Whether you come up for the ice-out or wait for the big kings in August, make plans to spend some time with us soon. 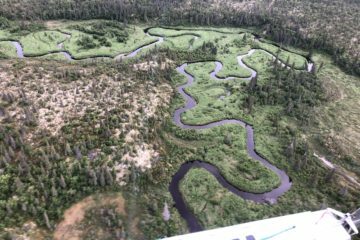 We know that you’ll enjoy a perfect fly fishing season in Alaska because that’s the only kind we have up here at No See Um.